Say No to Animal Photos! When you’re on vacation in the Riviera Maya, you’ll spot endless things to catch your eye. During a walk through Playa del Carmen, for example, you can see colorful handicraft shops and gorgeous outdoor restaurants. You might even have a person come up to you on 5th Avenue, asking, “Do you want a picture?” This person often has an adorable exotic animal over his or her shoulders… a monkey, a jaguar cub, a macaw or maybe even a giant yellow snake. You only have one second to choose, and you decide to not let the opportunity pass you by to take a picture with this cute animal. Or maybe you’re lying on a lounger on the beach at your Riviera Maya hotel, listening to the soft sound of the waves and watching the incredible colors of the Caribbean Sea. You spot a couple taking their picture with a brightly colored parrot, and it occurs to you that this is the perfect chance to take your new Facebook profile picture. Unfortunately, what many travelers don’t know is that these cute critters might be the victims of illegal animal trafficking, or in many cases they’re the victims of animal abuse. 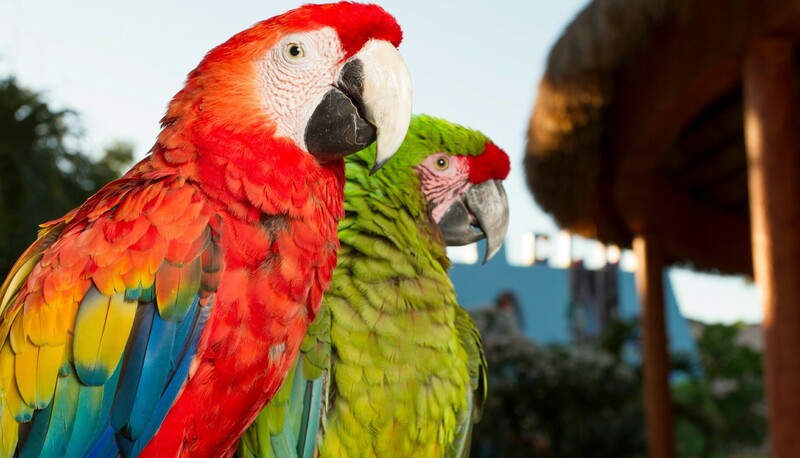 The sale of photos with exotic animals has been a popular practice in the Riviera Maya for many years, but now there is growing awareness among the locals and tourists in this beach destination. For 2015, the governor of the municipality of Solidaridad (where Playa del Carmen is located) is launching a new campaign against animal photos. Municipal President Jose Mauricio Gongora Escalante is asking tourists to NOT take pictures with the animals on display along 5th Avenue. This campaign comes as the result of many incidents involving animal abuse, illegal activity and accidents that give this beautiful travel destination a bad image. The campaign includes the use of the social media hashtag #NoAnimalPhotos or #NoTeTomesLaFoto in Spanish. 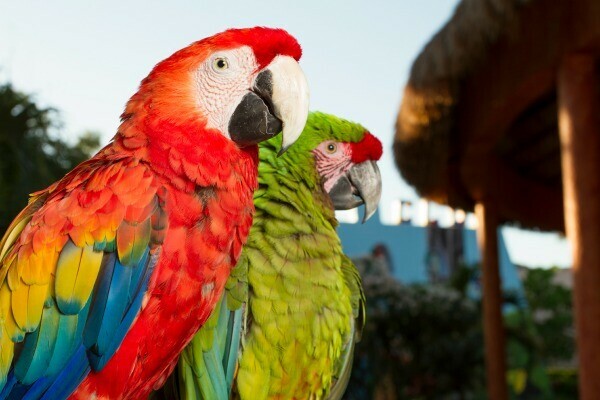 When you’re visiting Playa del Carmen and the Riviera Maya, there are many reasons why you should say NO when asked to take your picture with an animal. The Riviera Maya isn’t the ideal habitat for many of these animals. Some species naturally need to sleep after 6pm instead of working on the streets of Playa del Carmen. Each animal needs a very specific diet to live a healthy and happy life. The peanuts and chips fed to them by their handlers and sometimes tourists is not an appropriate diet. Even if it’s not your intention, when paying for an animal photo you are often contributing to illegal animal trafficking. 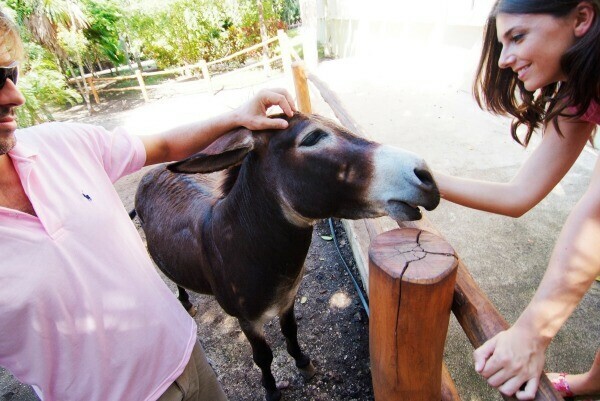 In many cases, the animals appear so sweet and cute because their handlers give them tranquilizers to keep them calm. Some animals have their claws and teeth removed so they don’t hurt the tourists. This practice hurts the animals and takes away their natural behaviors. Here at Sandos Hotels & Resorts, we strive every day to protect the rights of the animals in our travel destinations. We are among the few all inclusive hotels that do not allow animal photo vendors on our properties. We also create awareness among our employees and guests to ensure that local animals can live happily in their natural habitat. 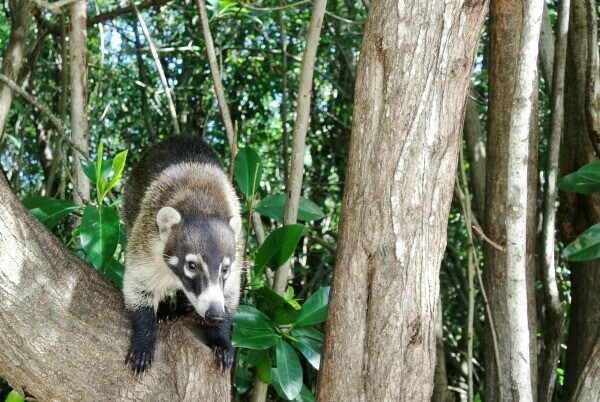 At Sandos Caracol and Sandos Playacar (our all inclusive resorts in the Riviera Maya), you’ll find many animals living freely on our properties: coatis, raccoons, sereques, iguanas, monkeys and many other native species that choose to spend their time at our hotels. We just ask that you please do not feed these animals because they must stick to their natural diet in order to stay healthy. Our hotels also have numerous rescue animals that we have taken out of bad situations, like the donkeys and macaws that live at the resorts. 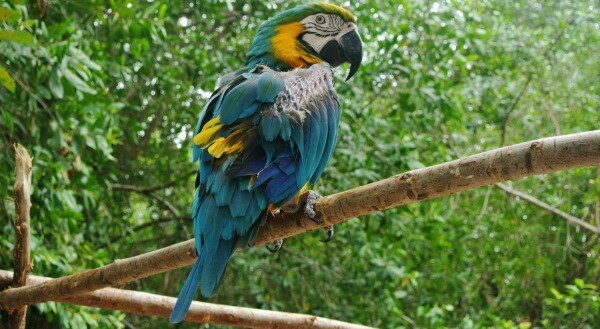 Sandos Caracol, for example, is now home to a macaw named “Lupita” that once lived in abusive conditions as an animal used for taking photos with tourists. The next time you’re on vacation in the Riviera Maya, you can help the environment and the animals by saying NO when you’re offered a photo with an exotic animal on the beach or on 5th Avenue. To show your support, we invite you to join the government campaign and use the hashtag #NoAnimalPhotos or #NoTeTomesLaPhoto (Spanish) on your social media accounts.